A power cube is a leveled item which adds XM to your reserves when used. The easiest way to use a power cube is to tap the quick cube button located under your XM meter. Swipe left and right in the carousel to find the power cube you want, then tap “Use.” Power cubes are also accessible from your inventory or the attack drawer. Using a power cube destroys it and gives you 1,000 XM for each power cube level. In other words, a L5 power cube grants 5,000 XM when used. Be mindful of the maximum capacity of your XM reserves. Any XM gained in excess of what your reserves can store is wasted, so don’t use a power cube until you have enough room in your reserves for the entire amount. As of 19 February 2016, recycling a power cube yields the same amount of XM as using it. While you can only use one power cube at a time, you can recycle multiple power cubes at once. As a result of this, lower level agents can now use higher level power cubes by recycling them. The power cube was invented by Oliver Lynton-Wolfe during his time at the NIA. On 30 November 2012, the entire Niantic team was exposed to a mega-dose of XM during a power cube test, in an event that has come to be known as Epiphany Night. The Lawson power cube and Circle K power cube (hereafter collectively referred to as XM tanks) are power cube variants. 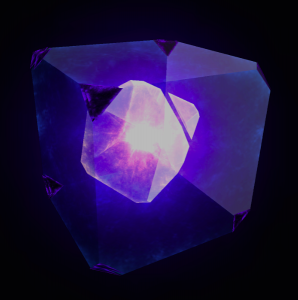 The Lawson power cube was announced on Ingress’s official social media accounts on 21 February 2016. Further information was released on 26 February 2016, and the cube itself was released on 27 February 2016. The Circle K power cube was announced on 15 May 2017. An XM tank is a hackable, unleveled, very rare item which provides a backup XM store that replenishes your reserves automatically. To activate one, select it from your inventory and tap “Use.” If you already have one active, the button will be disabled. Once the tank becomes active, it is removed from your inventory, and a meter representing the amount of XM in the tank is displayed next to your regular XM meter. As your XM reserves are used, they are immediately replenished from the active tank. (Thus, it does not increase the amount of XM you can use at once, and therefore can’t enable you to flip portals two levels above your agent level.) The amount of XM provided by the tank varies according to your agent level (see table below). Unlike your main XM reserves, the backup tank cannot be refilled. When the amount of XM left in the tank dips below 10%, you will receive an audible warning. When the tank is exhausted, it is removed from the scanner display. Unlike regular power cubes, an XM tank cannot be recycled directly. However, you can put it into a capsule and recycle the capsule, although it is only worth 160 XM that way.